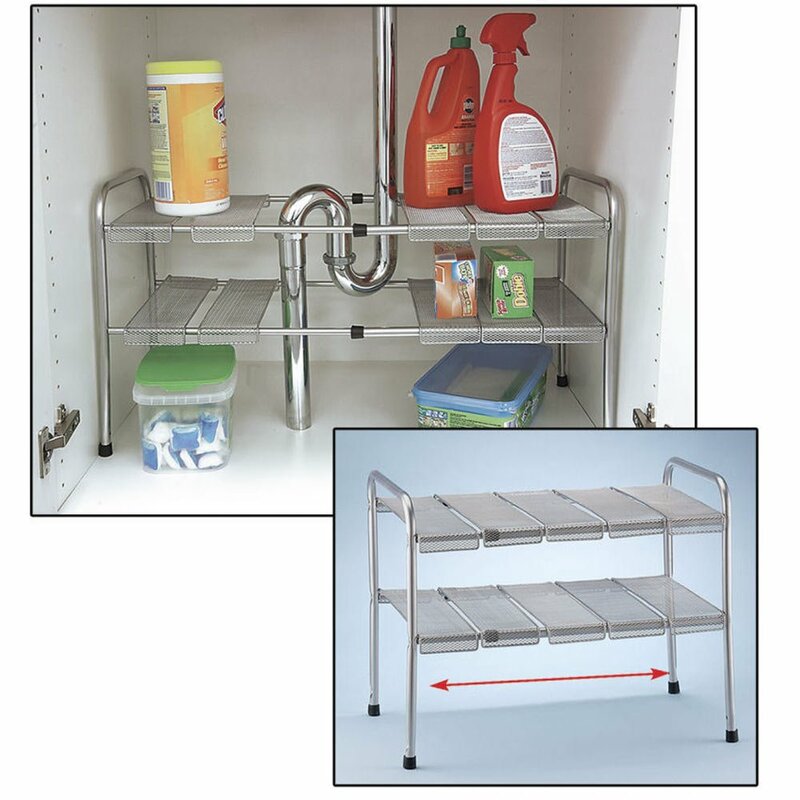 2 Tier Expandable Under Cabinet Sink Steel Shelf Extending Organizer Rack ! Make use of awkward, under sink space. Two-tier, extending shelf fits neatly around plumbing pipes, to give you extra storage space in kitchen or bathroom. Measures: 18"-30" W X 11.5" D x 15" H.
Tubular-metal frame. Expands from 18" up to 30" wide.